I’m so excited for the TpT sale tomorrow! I have SO much in my cart! I wanted to tell you about a few of the items I’m excited for! First, I’m going to tell you about my big release. 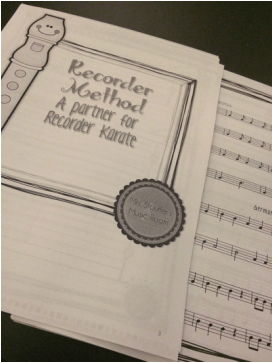 I wrote an entire recorder method book. I teach band and choir as well as general music. 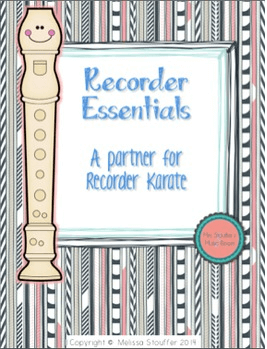 The instrumentalist in me was really unhappy last year with the program I was using to teach recorder. I felt that by worrying about belt tests, students were just rushing through to the next test. I wanted to create a method where students got a focused practice on their new note. I created pages that have several exercises on one page, like traditional method books. The second page of the note focuses on folk songs that feature the new note. Of course, by doing it this way, I think it is easier to assign one page at a time. It also saves me from hunting down songs, copying and handing them out to students. Plus, I am a big fan of having the note learning in the same order as the belt tests I’m already doing with students. I cannot WAIT to hand this out to my students in it’s entirety in the next few weeks. Some of my students received the first few pages a week ago, and they are so excited. I would like to point out that by purchasing it, you get UNLIMITED copies for your classroom!! No more purchasing enough for each student, or having students purchase their own! Check it out here! Teacher Resources. This is one of my favorite resources. It is also the first thing I ever purchased on TpT. These worksheets, which you can buy in sets, have students sort words by the rhythm that would go with them. They are GREAT ways to reinforce rhythm and syllables. They are great for substitutes, and great for early finishers. She also has 4 sets of them. The links for the other sets are included in the first set. You can also purchase them in a bundle! 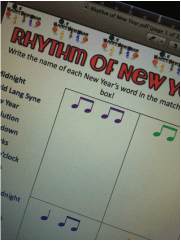 I love having my students write other rhythms that would work for the words after they are done, or come up with their own words for the categories. Check them out here. Last, I’m going to tell you about my favorite new (well, new to me) seller that I recently discovered. I just found Sonya DeHeart Designs. She has the CUTEST stuff. Papers, clip art, and fonts. 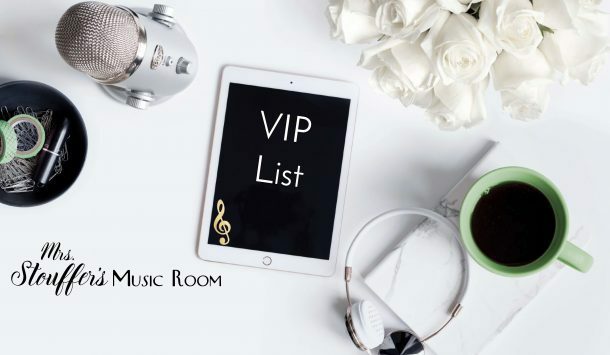 She sells for all teachers, so do go check her out, even if you aren’t a music seller. Clearly, I’m all about her glitter papers, and, if you know me in ‘real life’, you know I won’t be using these for just school either! I’m envisioning Christmas tags, and ways to decorate my office. I have been adding SO much, to my cart! On top of the big sale, I’m offering 20% off on my entire store for the duration of the sale. Make sure that tomorrow or Tuesday when you purchase, you use the code “TPTCyber” at checkout to have additional savings!! It looks like you put a lot of work into your recorder resource!